Fabtech 6" lift kits allow you to add extra clearance and turn your truck into an off-road beast! Fabtech lift kits are simple and effective, delivering true additional clearance while maintaining a factory like ride. Fabtech lift kits allow you to add larger wheels and tires to your ride! 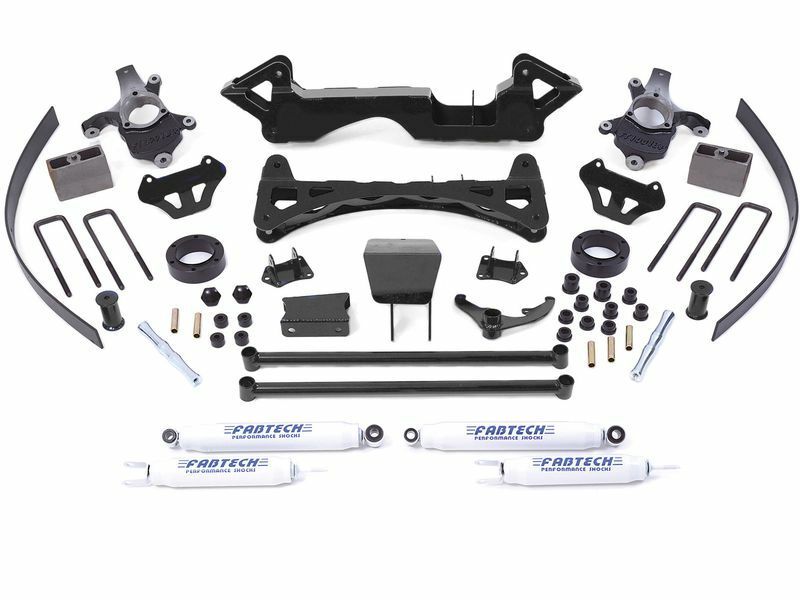 Lift your truck right with one of the best suspension upgrades money can buy and order a Fabtech 6" lift kit today!